The three day conference connected stakeholders from agriculture, food and forestry sectors around project, research and business ideas from all over Europe. With its versatile program the Conference was a perfect mix of exchanging knowledge, creating innovative partnerships, networking with international organisations and participants. The Conference was organised by a consortium of partners from the Satakunta and South Ostrobothnia regions together with the ERIAFF* network. 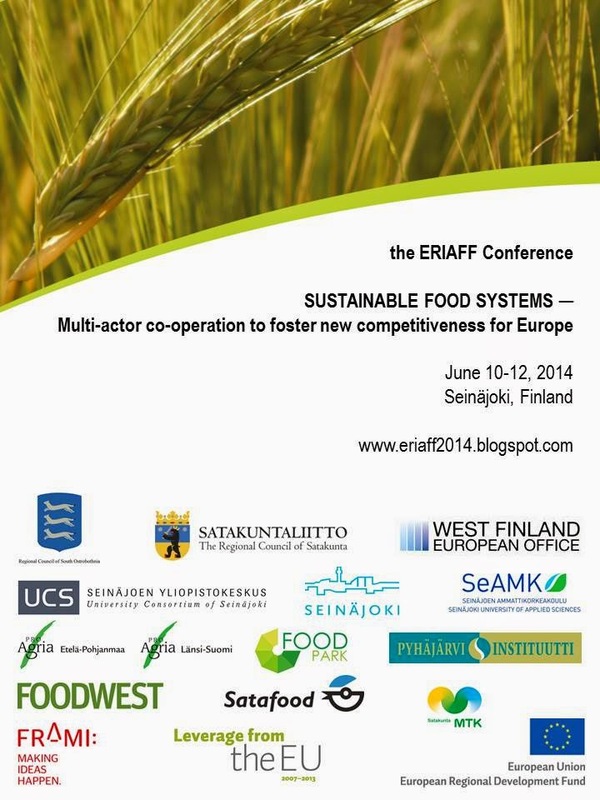 The event will took place in the heart of the South Ostrobothnia Region, Seinäjoki, Finland. The conference venue was located at Seinäjoki Science Park Frami (address Kampusranta 9 B). It was about 15 minutes waking distance from the city centre but a charter bus connection was available from conference hotels to the conference venue (LINK). See pictures of the conference (LINK). See presentations of the conference (LINK).